We were contracted to trim multiple windows in a new kitchen addition. This was a challenge because none of the units were installed plumb. First tapered extension jambs were installed so the casing that followed would lie flat on the wall. The width of the casing was restricted because of its proximity to the ceiling. We installed a 5/4 poplar sill and patched the drywall below. Exterior brickmould for a front door. 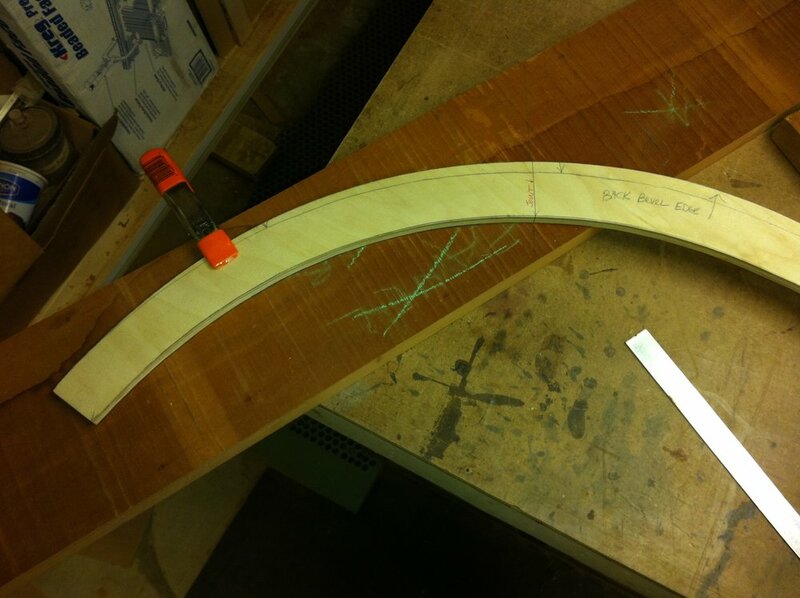 We started by making a template of the jamb. Mahogany blanks are squared up and set out to be joined. Epoxy is used for a waterproof bond. Installed and ready for primer/paint. Moulding is caulked to the brick and primed. We used a gloss paint for maximum protection.